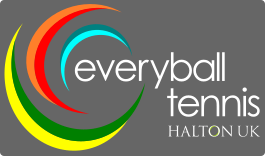 Everyball was delighted to host the County Tour Grade 4 tournament here at the Halton Tennis Centre last month. A total of 123 players from Buckinghamshire, Hertfordshire, Berkshire, Warwickshire, Surrey, Northampton and Middlesex competed in Under 8, Under 9, Under 10, Under 12 and Under 14 events over the week -- all in the glorious Autumn sunshine. We were so proud to see so many Everyball players in action at every level, and to see those Everyball values out on the court every day. Tournament referee John Bruley was very impressed: "For a new tournament, it was very well-supported, especially the mini tennis events. We hope to improve and expand on this in 2019, and also to add another tournament in August." James Morgan, Head Coach at Everyball, was delighted with the week's events: "It was great to see so many of our own players taking part, and also so many from the county and across the region joining us for the week. The organisation was first class and the weather was very kind. We couldn't be happier."